The plan with second revision of the CapM PSU was to create ultimate power supply unit integrated with speakers protection (SPK terminal, description coming soon). CapM PSU series is an active capacitance multiplier PSU series for audio amplifiers. 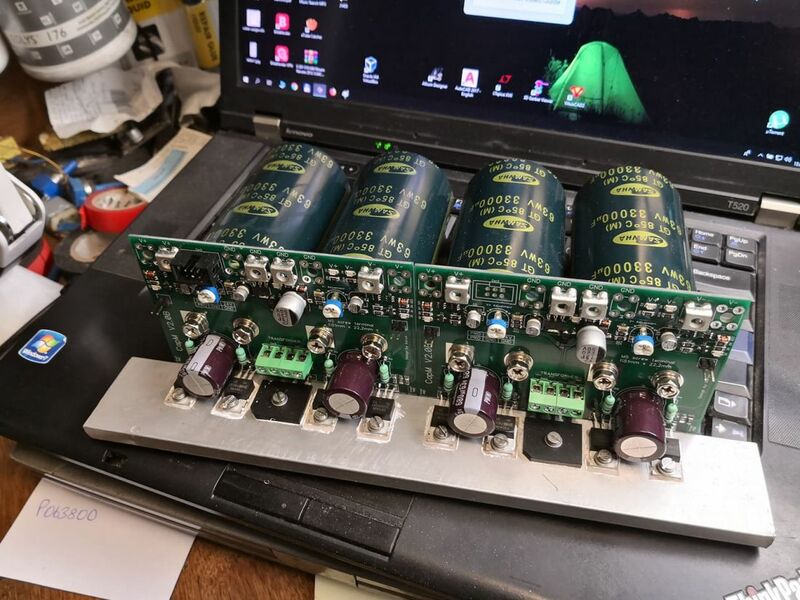 The easiest way to lower the output impedance of the PSU is to apply NFB loop in the circuit. 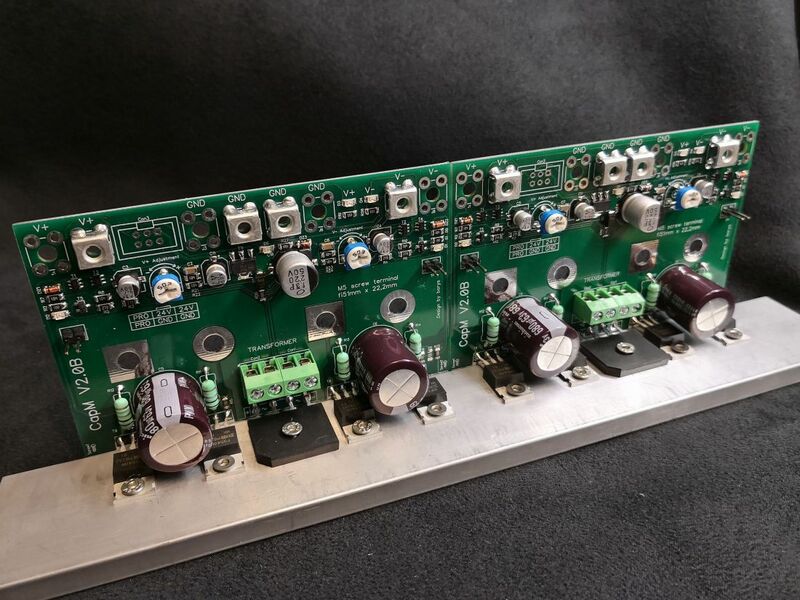 Symmetric power supply have two separate comparatos build in, one for positive voltage rail and second for negative voltage rail. 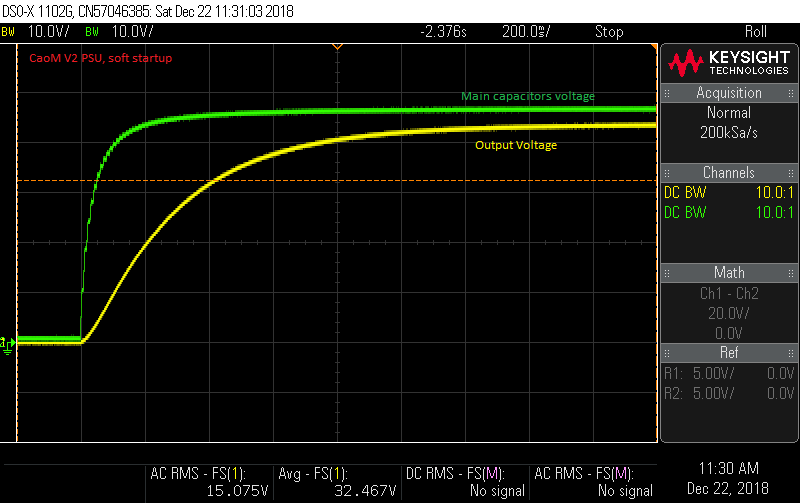 Non inverting input monitors is sensing input voltage through RC network (smoothing out most of the ripple), inverting input forms NFB loop which is monitoring output voltage. 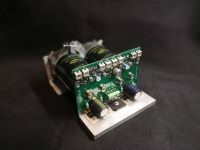 Pair of mosfets per rail does the job and is regulating/smoothing output voltage. 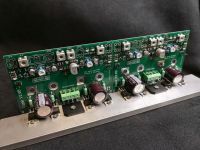 Pair of mosfets can pass over 60A (200A pulsed) of current which will be more than enough for most of the audio amplifiers. Of course there have to be taken some power loses for consideration. 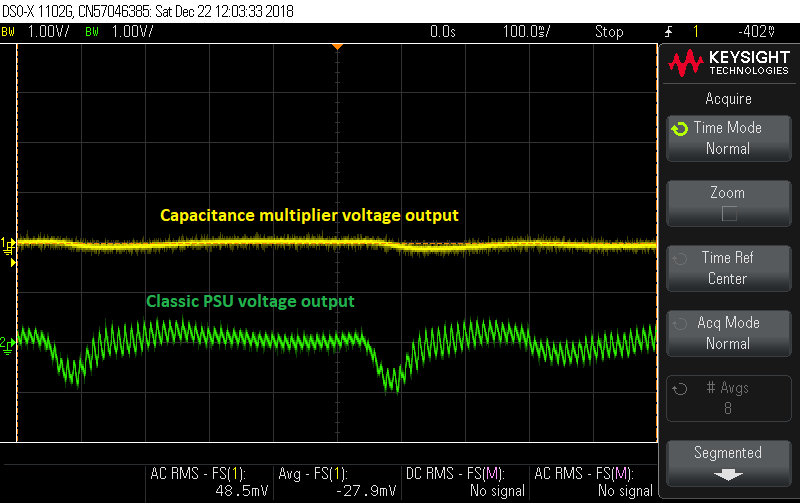 To set the voltage drop across the CapM PSU it is required to measure the voltage on TP+ and TP- test points and adjust value of 3-5VDC with single turn potentiometers. 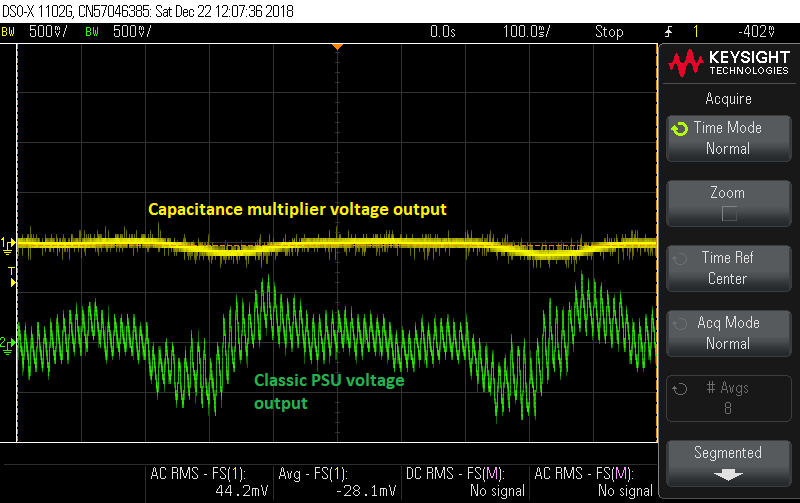 Higher the current and voltage drop across CapM module higher the power losses. For class AB amplifier biased up to approx 200mA per voltage rail and 3V of voltage drop across PSU there have to be 1,2W dissipated as a power loss.